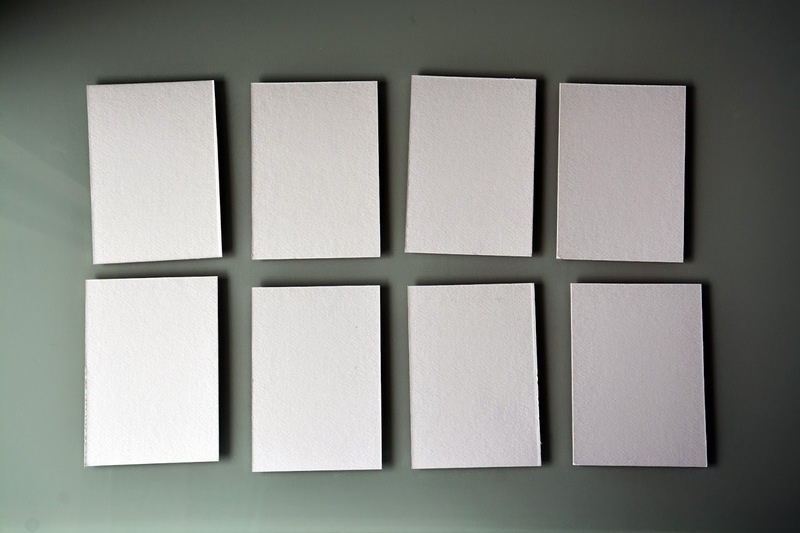 March 15th, opening of the exhibition ""
Memory, also known as Concentration is a card game in which all of the cards are laid face down on a surface and two cards are flipped face up over each turn. The object of the game is to turn over pairs of matching cards. These cards have no images but scents. March 22nd, opening of the exhibition "There is something in the air"
It's a small, yet life-size maze designed for playful olfactory exploration that challenges your sense of smell. If you follow the right scent, you will manage to get out of the space. Otherwise you will be stuck in the maze. In recent years my key words have been "movement" and "olfactory experience". I've been researching omni-directional olfactory experiences within a certain space. The sensations created by actively walking around and finding smells are very different from just passively receiving smells. 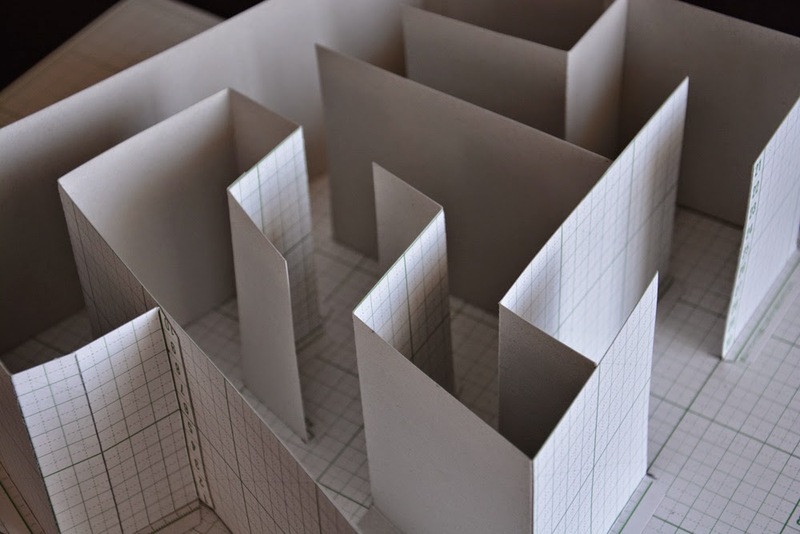 I’ve wanted to make such life-size "olfactory labyrinth" for years. But I first experimented at low cost, resulting in this first prototype in 2013: an installation with bottles hanging from the ceiling in a grid. Each bottle contains fragrant oil. The candle rope by which it hangs from the ceiling gradually absorbs the oil and spreads the scent around the space. The main focus is the olfactory experience rather than the scent itself. I think that smell is, in itself, neutral. It's the audience who attribute meanings such as "I dislike this smell" or "This is the smell I knew from my grandma's house" after processing olfactory information in their brains. Such meanings to smells are given from personal experiences and histories. This is why I chose not to give meanings to smells in this project. I rather want to be open to surprising olfactory experiences that we normally wouldn’t encounter in daily life. Omni-directional olfactory experience has been forgotten in our modern life, so reviving it is especially interesting. You can become convinced that human beings, much like dogs, have the ability to sniff around and navigate themselves using their sense of smell. I try to exclude visual and audible aspects in my works as much as possible. I let the work explain itself rather than doing so in words. Instead smells and space communicate with your physical sensations, allowing you to project images and play sounds in the mind. I believe that smell possesses such power. The Smell of War will shed light on the first gas attacks in World War 1 and deals with the fascinating phenomenon of odour and thereby goes beyond the usual museum based form of experiencing art. International artists from the present day demonstrate that scent can really be context and /or concept of the work. Scents evoke memories and so also emotions and associations, but let the beholder also re-think and reflect about the context of the work. The exhibition begins with a historical representation of the first gas attacks. The main focus of the exhibition however lies on the olfactory artworks about gas attacks and chemical wars, as well as on the not-smelling aspect by protection of gas masks. So we also show works that smell of nothing at all and in which the odour is only conjured up by the visitor’s imagination, or translated as an odour through the image. The exhibition will be supplemented by a publication as well as a varied supporting program, consisting of guided tours, talks and workshops.